Burger King of Chennai (self proclaimed, but I think I have a right to the title) and I didn't know about the Burger festival at Park Hyatt! Sheesh. A chance visit and a fellow foodie and me found out that it was the last day of the fest! Crap! What's worse, we were eyeing the awesome sounding Angus Beef burger and being the last day, it was sold out! What else could go wrong!?! Thankfully, nothing after that! There were seven burgers on the menu for the festival. We decided we wanted to taste all the non-veg burgers so we ordered one each and shared. For starters, we had a chicken burger! Now, I am used to having a boneless piece of chicken as the patty in most decent places, and a mashed potato with traces of chicken in average places, but this burger was different. Unless you paid attention, you couldn't have made out if it was chicken or beef as the meat was ground and cooked to perfection! The toppings on the burger was a surprise with a nice Asian twist to it. Loved it. For main course, we had the middle eastern lamb burger! Whoa. 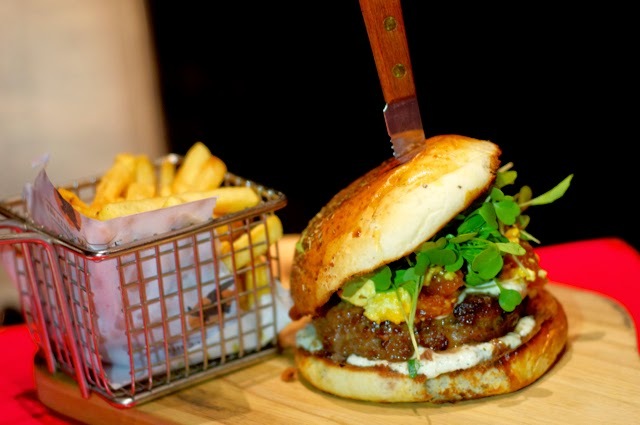 Imagine a super juicy lamb patty, cooked medium, with a little apricot jam and an awesome tasting tzatziki. It was a melt-in-the-mouth dish. My foodie friend, for whom this was the first visit to the Flying Elephant, was sold! And then for dessert we had a lobster and prawn burger! Yep! Lobster and prawn. Yes, you read that right, lobster and prawn! 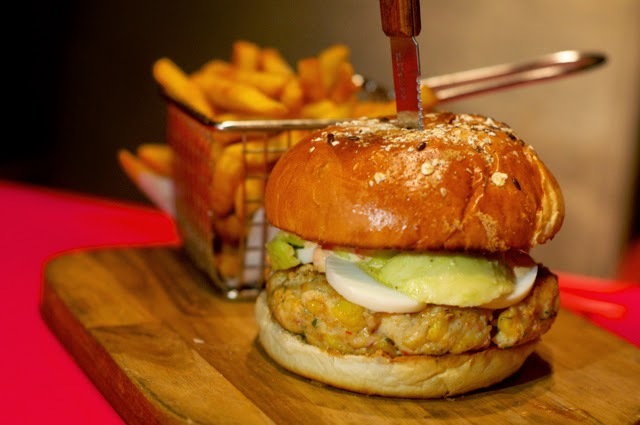 I will have no way to describe the burger cos it was a mix of being a lobster/prawn cocktail type filling with the meat partly mashed and partly whole, but description wouldn't matter. Loved it too. 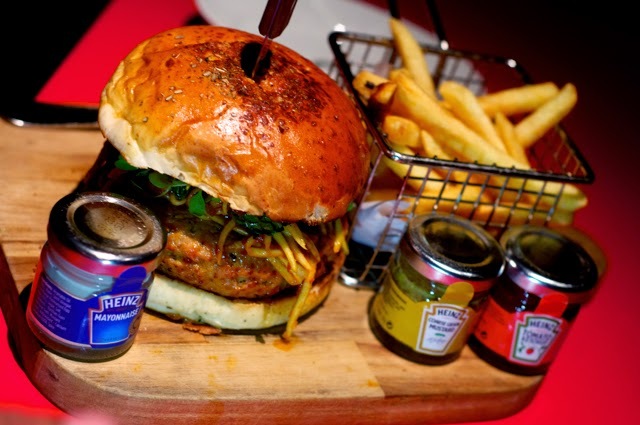 And then, in my dreams, I had this Angus Beef burger, cooked medium, with the buns flying around and my foodie friend trying to catch the flying burger, while I was laughing at him with the burger in one piece in my right hand and slurping after every bite. And then I woke up in the morning with a burp! The fries that came with the burgers need a lot of improvement, though! Burgers were priced at Rs. 795, which is similar to their regular burgers and I honestly think that at least the lamb and chicken burgers should make it to their regular menu! The Angus Beef burger that we did not get to eat was priced at Rs. 1850. Sadly, we'll have to wait for God knows how long before we get our hands on that burger!